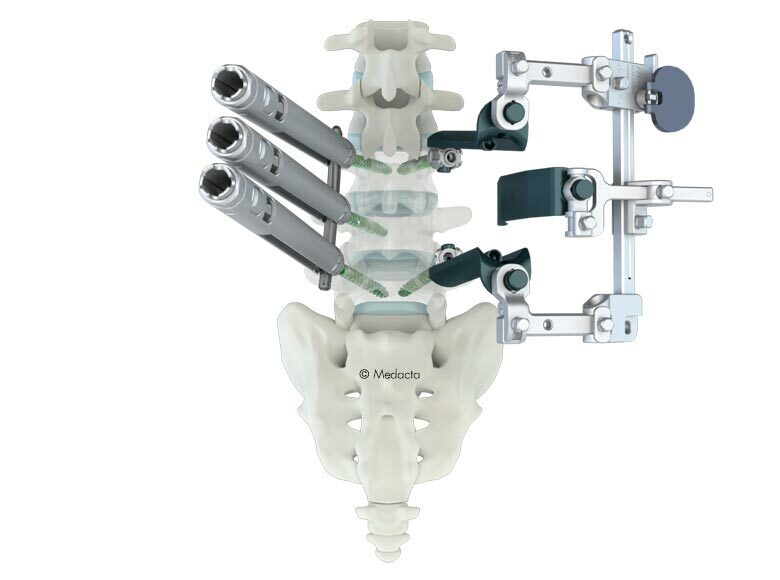 The Medacta MectaLIF Posterior Interbody Fusion devices are shaped for solid initial fixation, and long term spine stabilization. 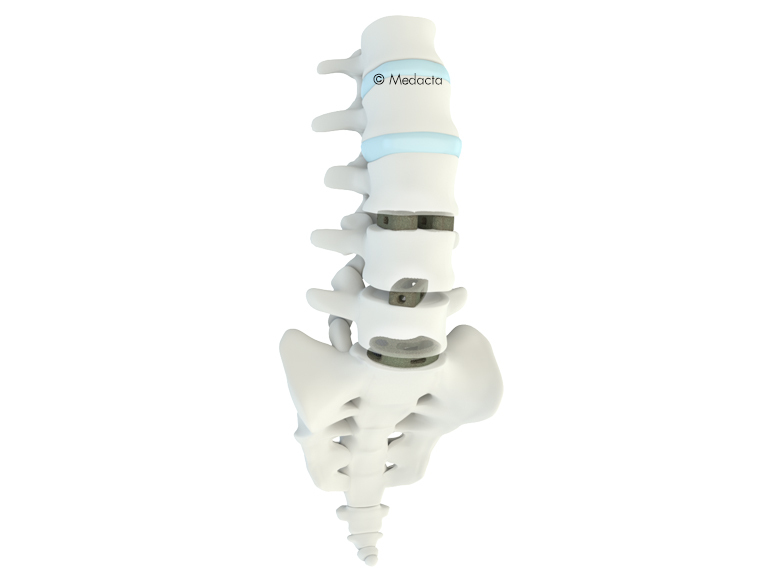 Made of PEEK and Titanium coated PEEK material, the MectaLIF Fusion Devices offer biocompatibility and anatomic shaping to address your unique patients. 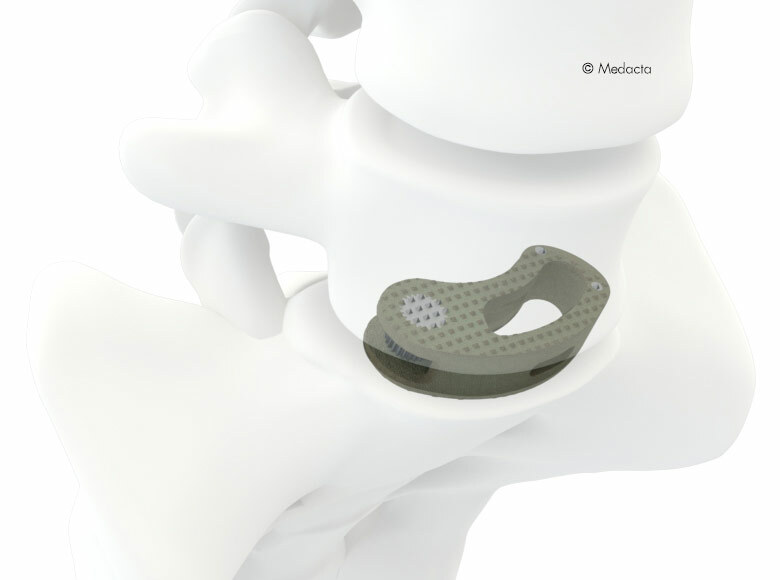 Thanks to the anatomical design the MectaLIF cages provide a full anterior-posterior support in both flat and irregular concave endplate. 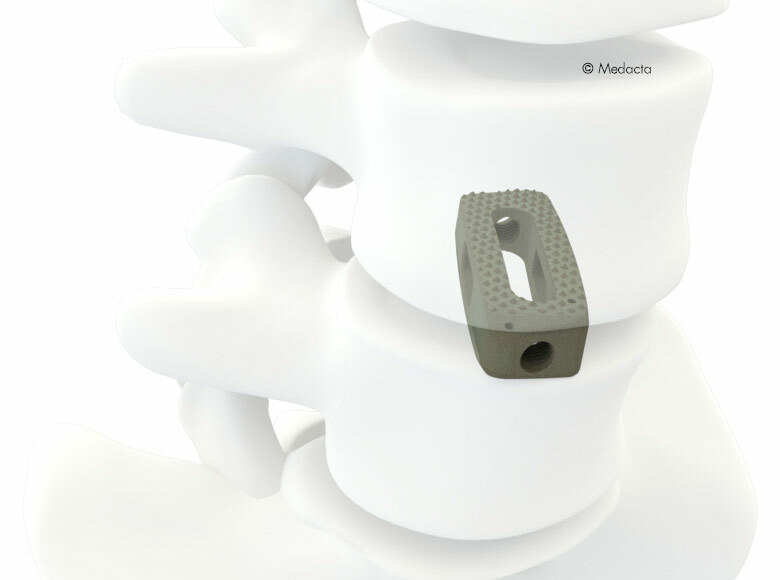 Unlike the standard designed devices, the MectaLIF Posterior lumbar cages allow for an improved bicortical bridge support aiming for a physiological like stress distribution. The MectaLIF Posterior cages helps providing an improved contact onto the strong cortical apophyseal ring thus reducing the chance of subsidence. Ease of insertion through a Minimally invasive spine surgery to create small incision, reduce tissue trauma and ameliorate the patients benefit through accurate positioning. 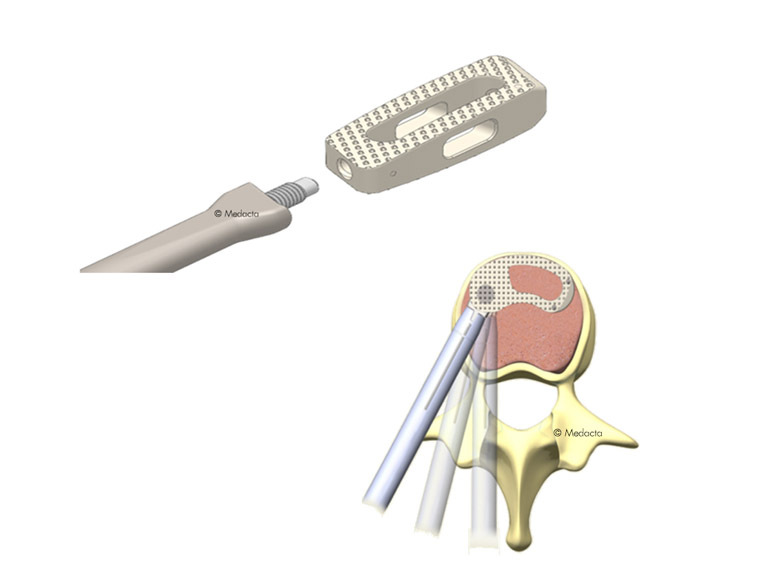 Optimal application for minimally invasive PLIF Insertion and Wiltse TLIF approach with mini open technique. Dedicated Offset Cage Inserter for an enhanced visualization. 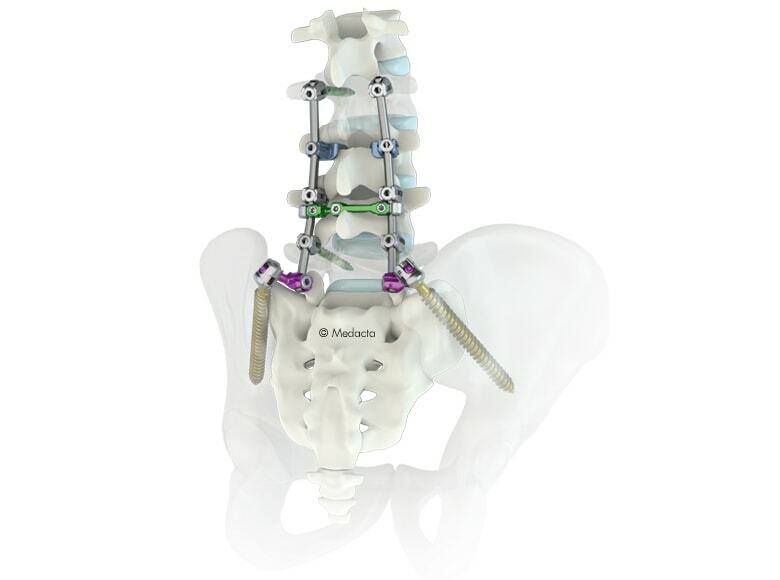 Mini Open technique with blades allows direct access to the intervertebral space for simplified cage insertion. Ease the posterior PLIF/TLIF insertion. Require minor posterior lips removal. Biconvex anatomical shape helps matching native endplate concave profile. Pyramidal teeth improve the press fit and the grip in-between the endplates to provide better expulsion resistance. 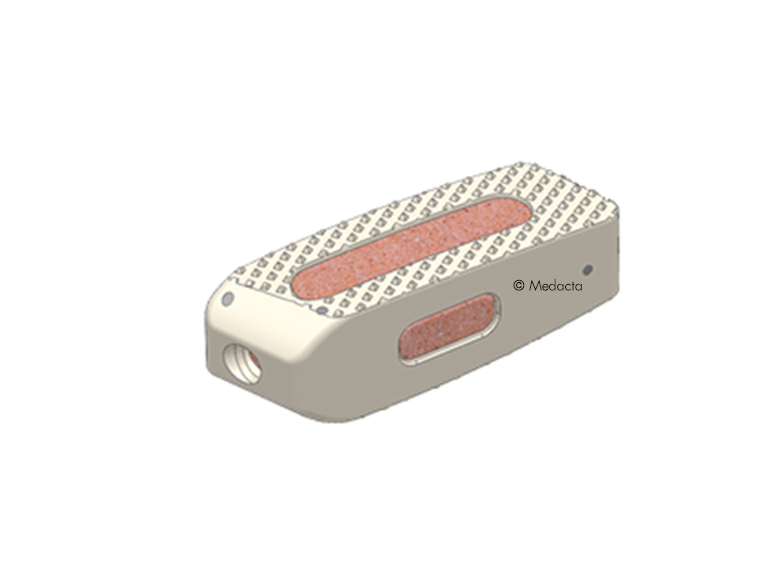 Fast and effective connection for a reliable secured implantation. Controlled Insertion with gradual adjustable angulations for final positioning. Implantation in 1 step with no intermediate passes! 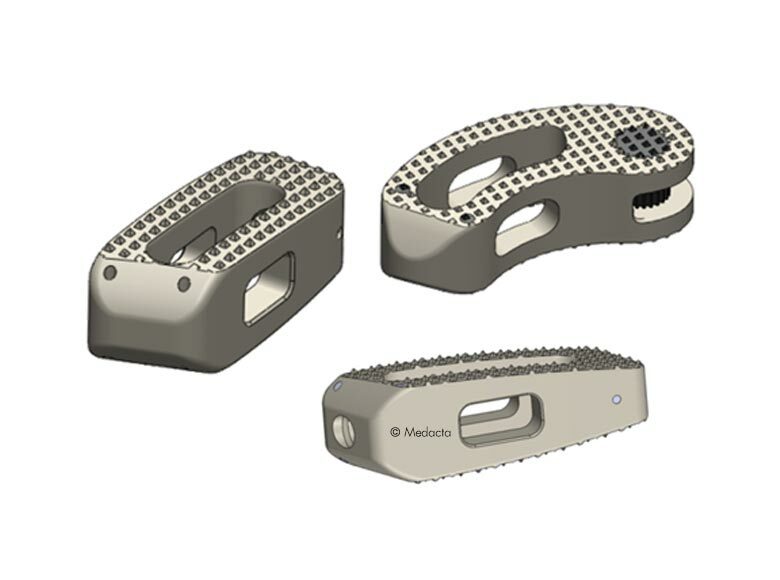 Large central bone graft area may help to accelerate the occurrence of fusion through the implant. 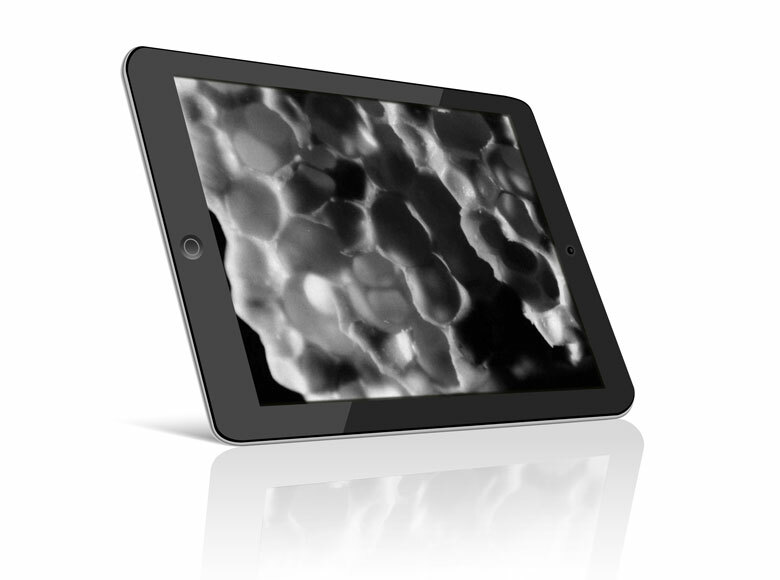 Sterile implants: provide full implants traceability while eliminating the risk of reprocessing! 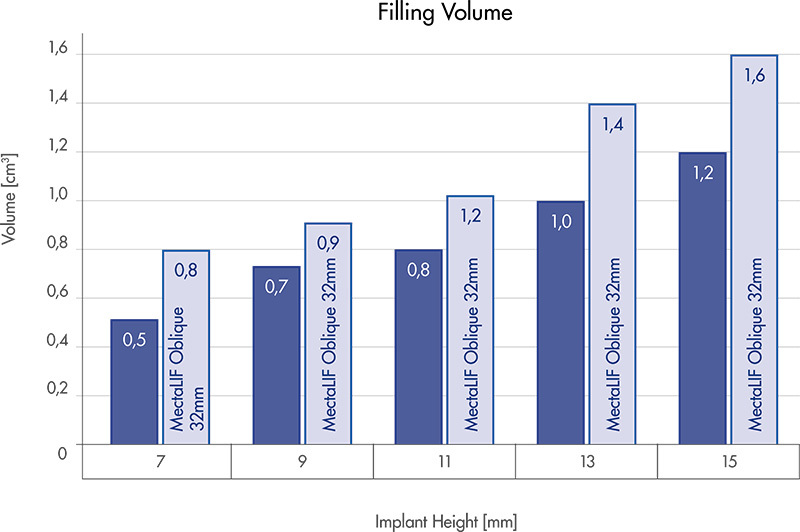 MectaLIF Posterior cages have a significant bone graft volume which is even higher than one of the best performing competitor’s with the same footprints. Influences of disc degeneration and bone mineral density on the structural properties of lumbar end plates; Yang Hou et.al: The Spine Journal 2012. Medacta biologics are made of fully synthetic bone that correspond to the calcium phosphate component of natural bone in chemical composition and crystalline structure. 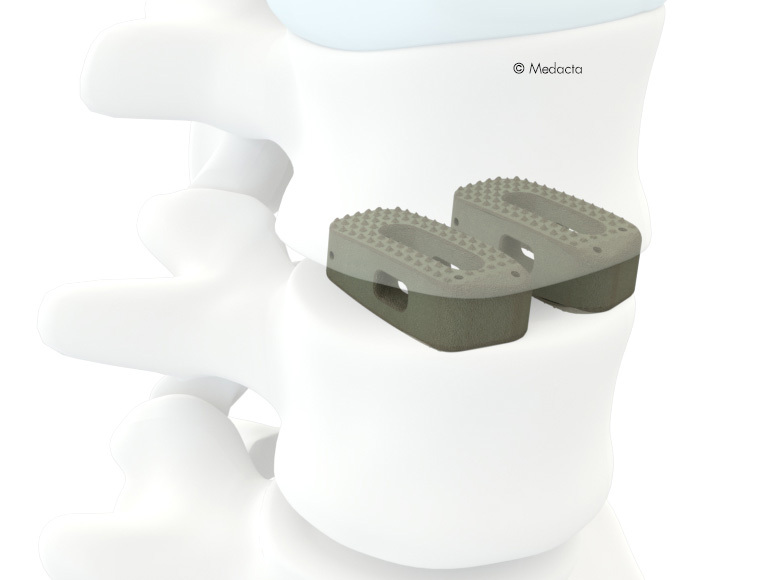 Medacta offers bioactive, biocompatible biologics representing a suitable bone growth substitute, and can be easily applied directly into the cage. The M.U.S.T. 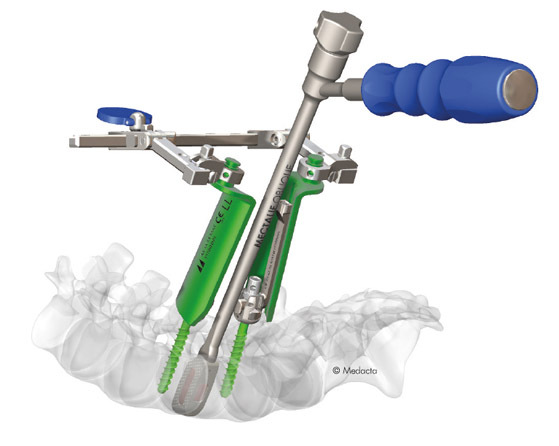 Pedicle Screw System is an unconstrained polyaxial screw, rod & connector design applicable to degenerative, deformity and trauma indications using traditional open or MIS surgical approaches. 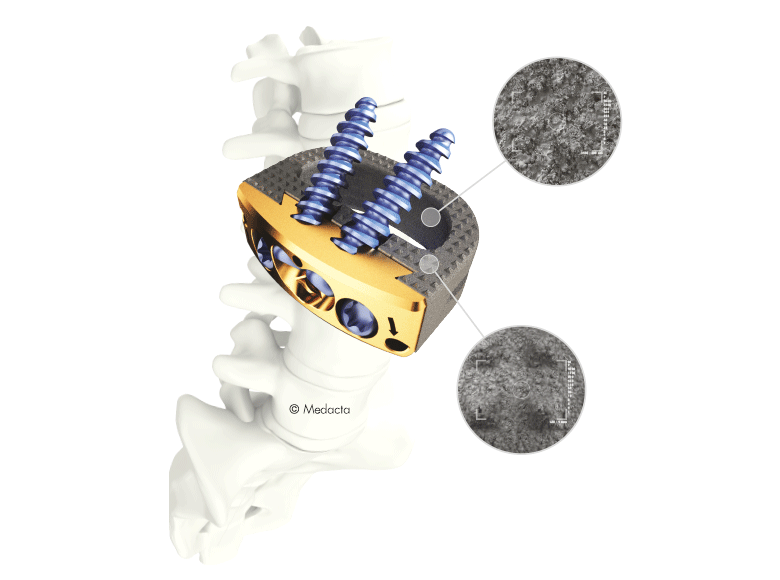 The MUST MIS Platform represents an effective and harmonic concept in terms of minimally invasive solutions. 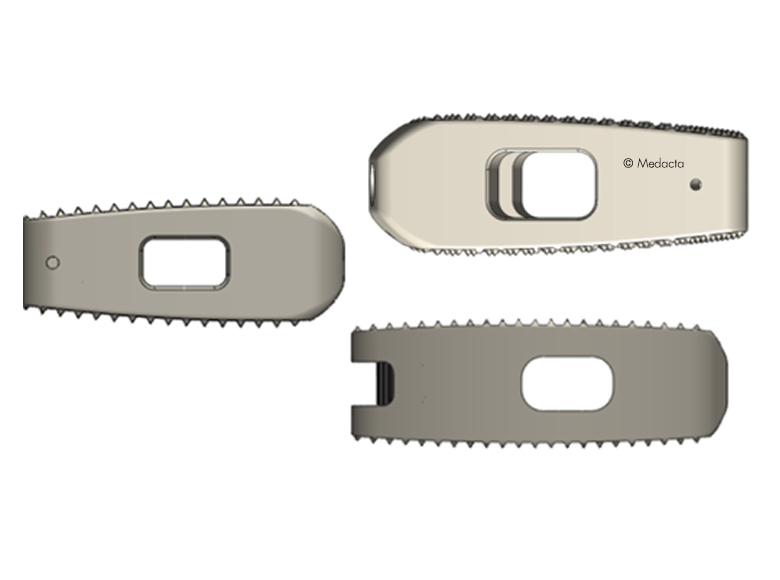 The Mini Open retractor along with the MUST Percutaneous system, can drive the surgeon through an efficient spine surgery result.